When you’re prosecuting organized crime rings by your mid-30s, representing one of the most visible districts of the U.S. Attorney’s Office, it’s worth wondering how much higher the lawyer’s ceiling can get—let alone the daily adrenaline rush. 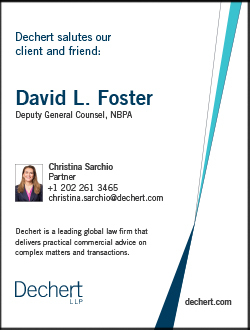 Fearing his career might never split from its current track, David Foster did what any hungry young lawyer might: He let his passions guide his networking. 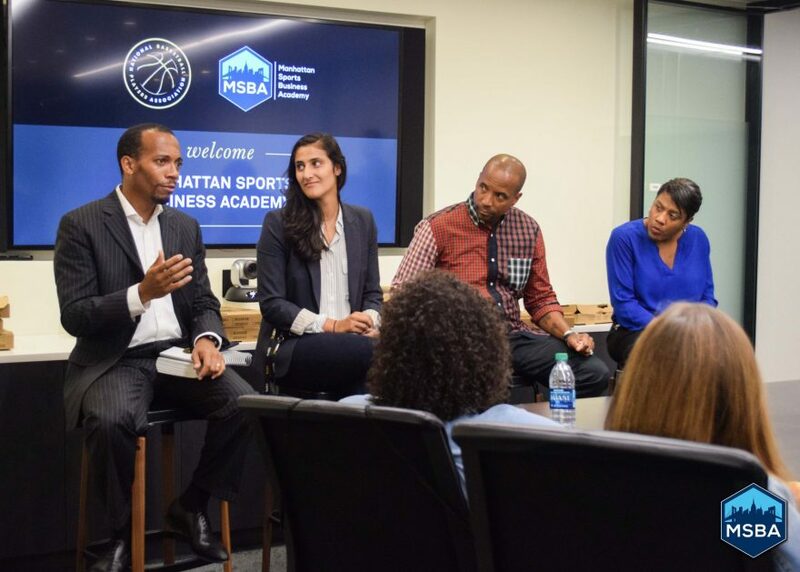 During a chance encounter with Michelle Roberts, executive director of the National Basketball Players Association (NBPA), Foster discovered the union was looking to hire someone with exactly his background. A few days later, he tossed his hat in the ring quicker than a Steph Curry jumper. Turns out, the aim was just as true. Founded in 1954, the NBPA represents the 450 players within the National Basketball Association (NBA), primarily through negotiating the league’s collective bargaining agreement (CBA). While Foster helped craft the most recent CBA, an uncommonly rancor-free deal signed in early 2017, his role also involves talent-management of another kind: the one between players and agents. More specifically, Foster ensures that every player agent is registered and licensed with the union. Entailing everything from a written exam—which Foster helps write—to a comprehensive criminal and financial background check, the process saves players from predatory management. In addition to earning fees on team contracts, some agents—typically those representing the league’s lower salary earners—will offer up-front loans in an effort to secure a player’s commitment, including language that the loan does not need to be repaid as long as the player does not fire the agent. According to Foster, such language is problematic, in that it creates an unnecessary financial disincentive for the player to fire an agent if he’s unhappy with the agent’s performance. Foster and his team work diligently to prevent such language from being included in any contracts, while educating agents on more appropriate ways to structure their agreements with players. The union isn’t always at odds with agents, however. Each year, Foster helps conduct seminars designed to update agents on everything from CBA changes to new agent-relations policies. One area where Foster and player agents have increasingly found common ground is in wearable technology. Few leagues have embraced big data more fervently than the NBA, with advanced analytics ushering in a new era of statistical insight and—more importantly—fan engagement. Not surprisingly, companies on the cutting edge of biometrics have found ripe terrain for profit. For players, the calculus is more complicated. On the one hand, insights gleaned from Fitbit-like devices could help them enhance and extend their careers, helping them avoid common wear-and-tear injuries. On the other hand, teams might use negative data—say, data showing that a certain player runs less than the average player—to gain leverage in contract negotiations. It falls on Foster and his team to discern which technologies have the potential to benefit player development, and which are little more than fancy toys—or are more valuable to the team. During the most recent CBA negotiations, for example, the two sides agreed to create a wearables committee to oversee all future testing and compliance. Having trained for eight Ironman triathlons himself, Foster understands how much an athlete’s performance depends on the small details—even as he’s always had his eye on the big picture. Born in Queens, New York, Foster was nine years old when his family relocated to the Caribbean island of Barbados. Here, he fell in love with sports, participating in everything from soccer and basketball to track and cricket. At 16, Foster moved to Philadelphia to attend the Haverford School, living with his sister for the final two years of high school. He excelled both academically and athletically, eventually earning a scholarship to Princeton University, where he was a member of Kappa Alpha Psi and the varsity track and field team. 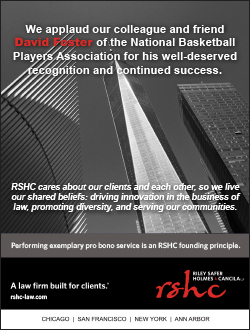 After graduating from Princeton University in 2001, Foster enrolled at Fordham Law School in New York, with designs on becoming a sports lawyer. During his second year, however, Foster’s brother, Christopher, invited him to attend his first trial as a member of the Manhattan District Attorney’s Office. “I knew right then and there I wanted to be a prosecutor,” he recalls. 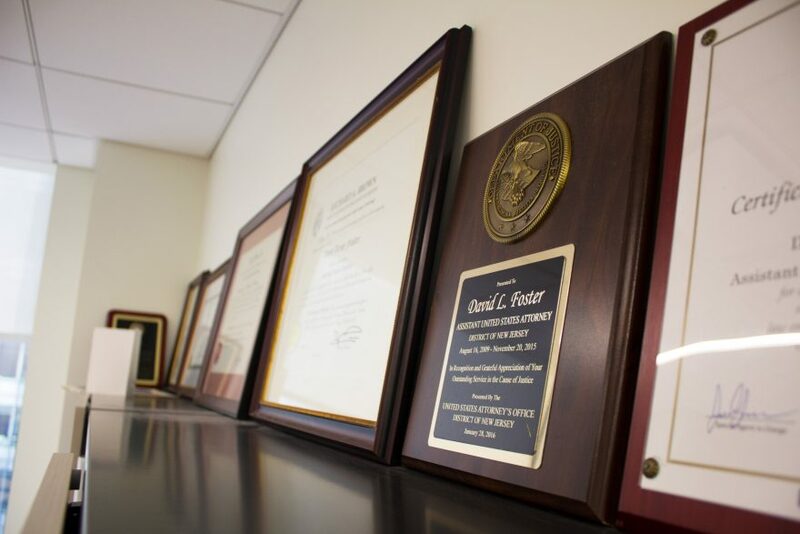 After graduating law school in 2004, he joined the Queens County District Attorney’s Office, where he worked primarily in the Major Crimes division—all while holding an adjunct professorship at his law school alma mater. In 2009, Foster was promoted to assistant U.S. attorney for the district of New Jersey. Beyond the more mundane duties of writing complaints and indictments, Foster participated in a number of high-profile cases, including the prosecution of several members of the Sinaloa Cartel—one of Mexico’s most notorious drug cartels—as well as the former deputy director of the Hudson County jail, and numerous other local and state officials. By 2015, however, Foster was eager to try his hand in the private sector. And while the stakes are somewhat different in the world of professional sports, the sense of client commitment—of livelihoods being at stake—has never been higher. Last season, league ratings were higher than ever. Team valuations are through the roof. Salaries: soaring in lockstep. 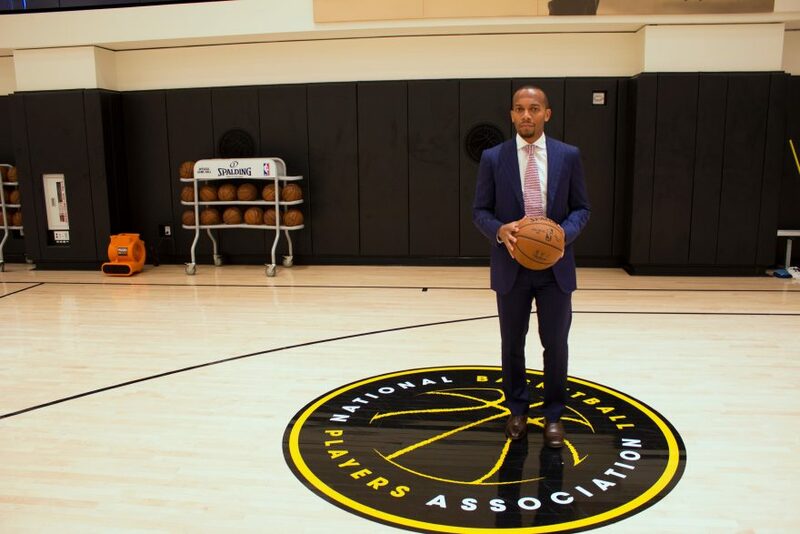 But that hasn’t stopped Foster from keeping his eyes on the prize: ensuring players are given every opportunity to become their own high-flying—and high-earning—economic engines.